Hot Tubs Portland –Oregon Hot Tub, dealer encourages consumers to participate in Romance Awareness Month by taking the time to reconnect with loved ones with other hot tub benefits! Oregon Hot Tub, a HotSpring Spas, dealer with stores in Portland, Beaverton, Bend, Clackamas and Vancouver, WA is supporting Romance Awareness Month in August by providing free test soaks in new or used hot tubs in any of their 5 showrooms. “Everyone is so busy nowadays that it can be hard to find a little romance with the person we love. So we came up with a few ideas for romance that will warm both of your hearts,” says Sue Rogers, President of Oregon Hot Tub. Try something new together - Doing something new can be fresh and exciting, and doing it with the one you love creates memories to last a lifetime. Take a trip somewhere neither of you have been and work together to find landmarks. Take on a new sport and help each other learn. Doing new things together will reintroduce you to each other so you can fall in love all over again. Have a picnic - The trick to a romantic picnic is to make it special. A few deli sandwiches would work, but to truly impress, class it up a bit. Bring a soft blanket, some wine, and food that is made to tantalize. Feed each other caviar, chocolate, and grapes--food is the surest way to a man's stomach, but ladies enjoy tickling their taste buds too. After you've eaten and drank, sit close under the stars or a leafy tree. Write love notes - With email, it's easy to go a week or more and never see anything handwritten. Bring the love note back by writing a sweet note to your loved one. It doesn't have to be elaborate or too wordy, just something that will make them smile and feel warm inside. They'll appreciate it. Do something unexpected - There is no greater surprise than someone acting differently than they usually do. Usually refuse to go shopping with her? Take her to her favorite store. Hate golfing? Go out on the green. Doing something that your significant other enjoys shows them that you love them enough to be with them no matter what. Let the bubbles take you away - A Hot Springs Spa is the best way to blend romance and relaxation. The warmth of the water will soothe both of you, so you can release outside cares and focus on each other. You can gaze into each other's eyes and whisper to each other for as long as you like. 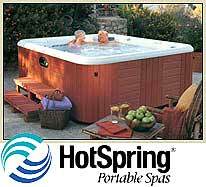 Hot tubs provide just the right environment to hold each other and be together. They are also private, which can be hard to come by in these hectic times. “To encourage people to reconnect with loved ones, Oregon Hot Tub is providing free test soaks so consumers can check out the benefits of soaking in a hot tub for themselves. We do recommend however that people wanting to schedule their free 30-minute soak call us ahead of time to reserve their spot,” commented Dave Doornink, marketing manager.